Make a sound investment with a comprehensive time and attendance solution. If you are one of the 21 per cent of companies currently using a manual time and attendance system, you are definitely not aware of the benefits that automated time and attendance can offer. 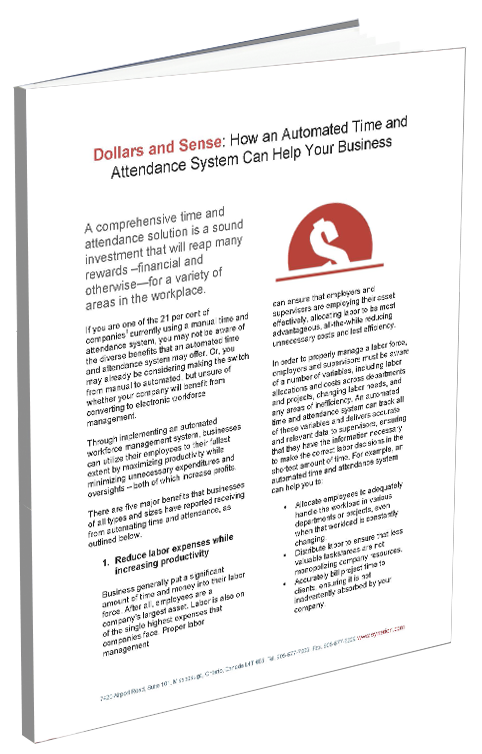 To find out more about how automated time and attendance can benefit your business, fill out the form on the right and download your copy of our whitepaper today.